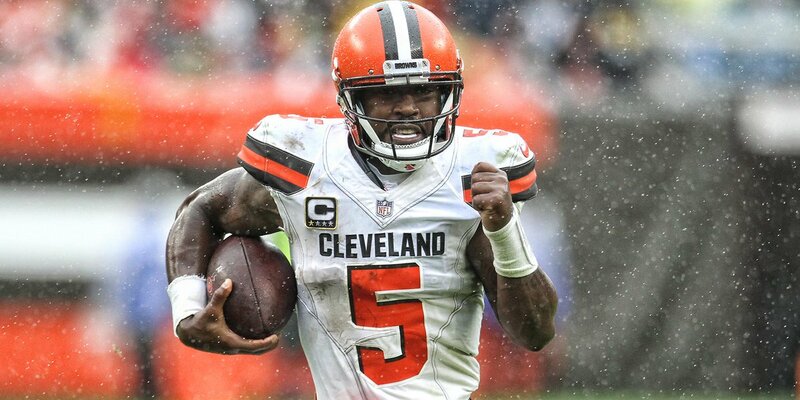 This is it Cleveland, the moment we have been waiting all year for, the home opener of the “New Look” Cleveland Browns. From the major overhaul to the team, and the major overhaul to First energy stadium, the vibe in the arena was much different than it has been in a long time. You could feel the excitement from the entrance all the way to your seats. As Employees, fans, security, Vendors and even the parking attendants could clearly feel something epic, historic, ground breaking and earth shaking was about to happen. Celebrations in the streets of Cleveland. The Cleveland Browns offense lacked the energy we expected to see out of the gate. Cleveland’s drives mostly started with a run,and ended with a punt in the first half. The Browns defense looked good in the first half intercepting three passes from Roethlisberger. Rookie corner back Denzel Ward held up to the hype and then some, with 2 receptions for 14 yards and coming away with 2 interceptions. Turnovers is what Cleveland needed, as there was not much else happening. This half of football we saw that energy level we expected from the Browns, Runs were getting more yards, and passes were on point, mostly. The first drive of the half went for 86 yards and a game tying touchdown. The browns defense forced the Steelers into a fumble gaining possession of the ball at the one yard line. Carlos Hyde split the defense and scored the second touchdown for the Browns. The Browns third touchdown came with quarterback Tyrod Taylor targeted the match up with Cam Sutton because Steelers starter Joe Haden exited with a hamstring injury. This drive was two plays for 55 total yards and a game tying touchdown. The Browns defense owned this half and really turned the tide of this game. The defense limited the Steelers to 190 yards and 14 points through 8 possessions. Browns defensive end forced two fumbles in this half and created havoc all game ending with 2 sacks. The Browns looked unstoppable as they tied the game with two minutes left sending this game into overtime. So would this week 1 game lead to the same feeling of defeat, or would the Browns walk away with that first slump breaking win of the year? Overtime was nothing but bad weather and even worse football. 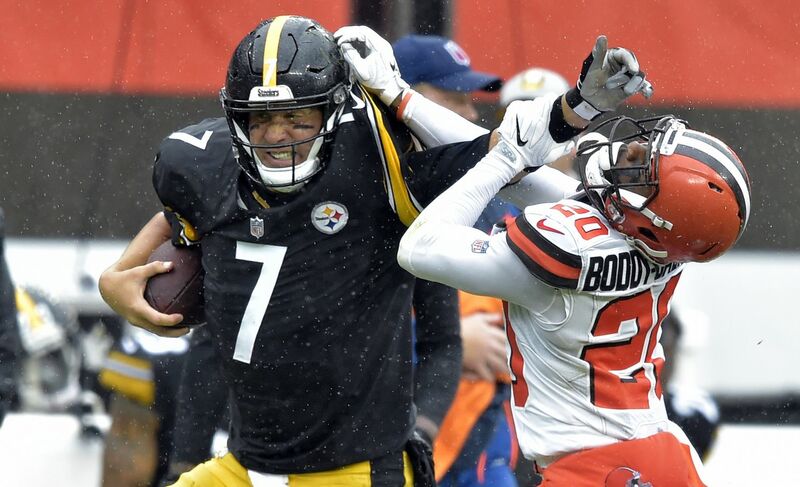 Both the Steelers and Browns exchanged punts until the Steelers marched downfield to the browns 24 yard line giving their kicker Chris Boswell a chance to win the game from 42 yards out. Boswell’s kick was wide left giving Browns another chance to finally complete the “Cleanse”. After a 3 and out by the Browns the Steelers turnover issues continued as Roethlisberger was sacked by rookie linebacker Genard Avery resulting in a fumble and a return to the Steelers 24 yard line all but sealing the win for the Browns. As they lined up for the 43 yard field this was it just one kick away from victory. The snap was good, hold was good, and……the kick was blocked by none other than Watt who continued to be a defensive standout for the entire game. The Steelers had one more play after the block which ended up being incomplete ending the game in a 21-21 tie, being the first week 1 tie in the NFL since 1974. So no big win, no huge loss, no crushing defeat. Just more questions leading into week 2, where the Browns will head to New Orleans to face the Saints. Will we finally get that long awaited for win? Or will it be more of the same? Find out next week, Same Browns time, Same Browns channel.